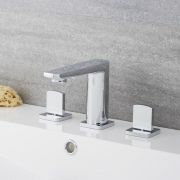 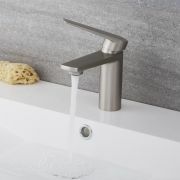 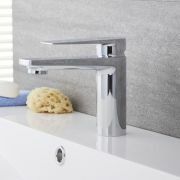 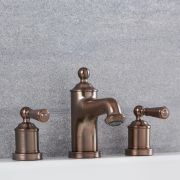 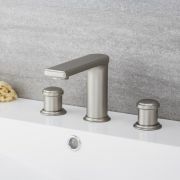 Add a touch of contemporary designer class to your bathroom with this Arcadia widespread faucet. 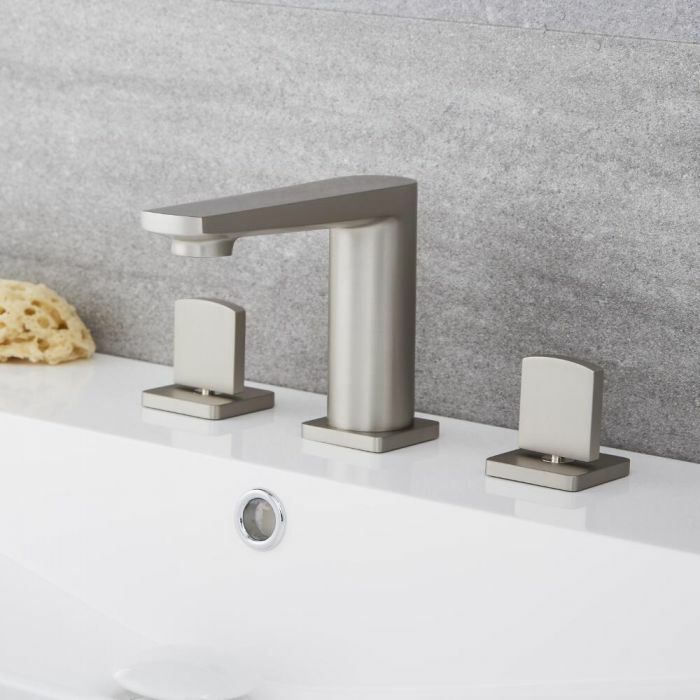 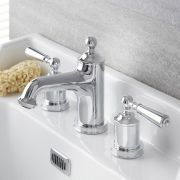 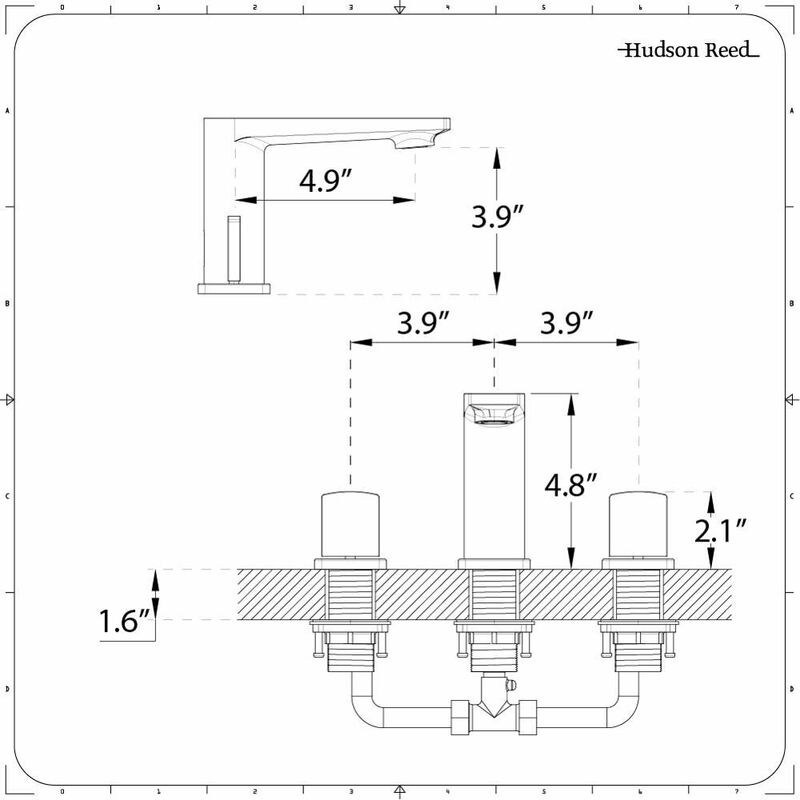 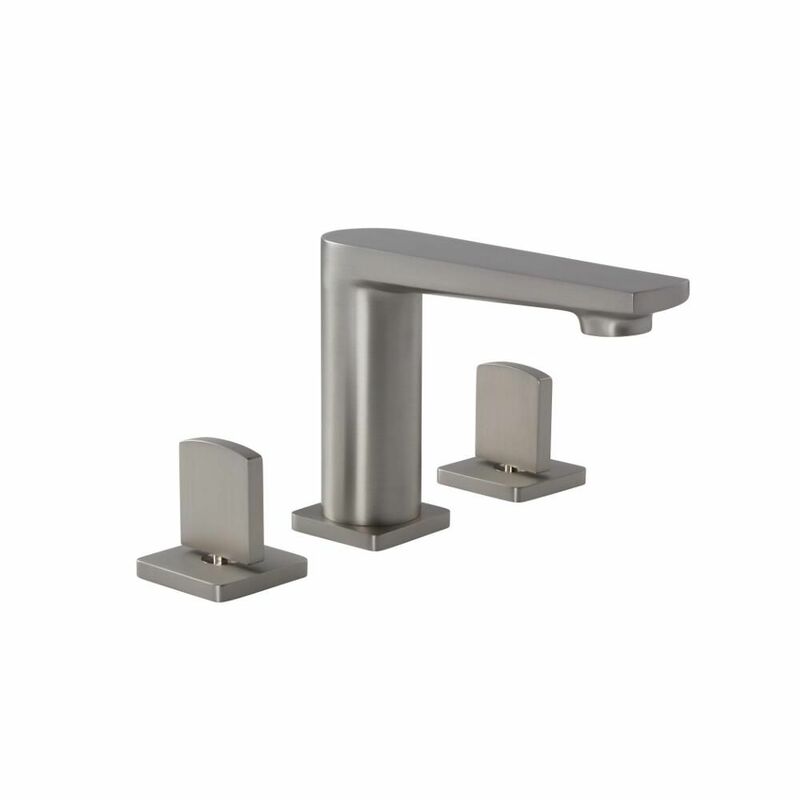 Incorporating a deck mounted design, the widespread faucet boasts a lovely brushed nickel finish that epitomizes modern style. 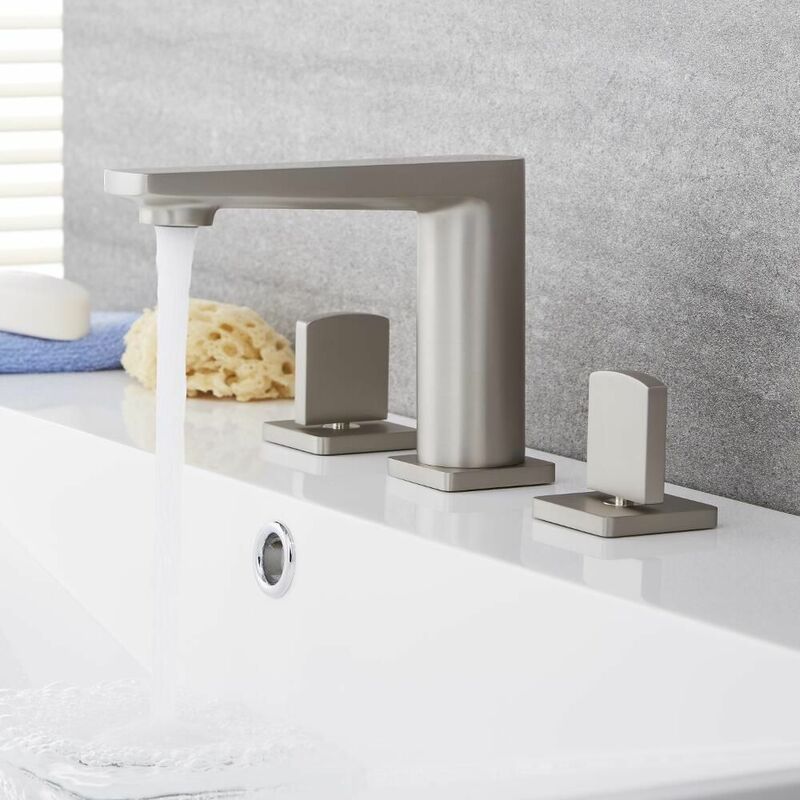 With a solid brass construction guaranteeing a durable performance, the faucet is a perfect fit for any modern bathroom space.